Exhibit Opening: Lost Collections of the Ancient World! Friday July 8th, was the opening for our Lost Collections of the Ancient World: How Roman Britain and Ur Came to Ontario. We had an excellent turnout; at least 85 people came to enjoy the mystery of the Roman Britain and Ur collections here in Ontario. We had family, friends, undergraduate professors and the general public. All in all it was a huge success; the only thing missing was media, but we are going to work on that. Thank you to everyone who helped Paige and I put it together! The Roman Britain and Ur Collections Continued! I am going to wait until the next installment of this series (first post here) to reveal how the Ur collection came into the museum’s possession, and this post will focus on the Roman Britain collection. The Roman Britain collection was excavated from a blitz bomb crater in modern day London, UK in early 1950. 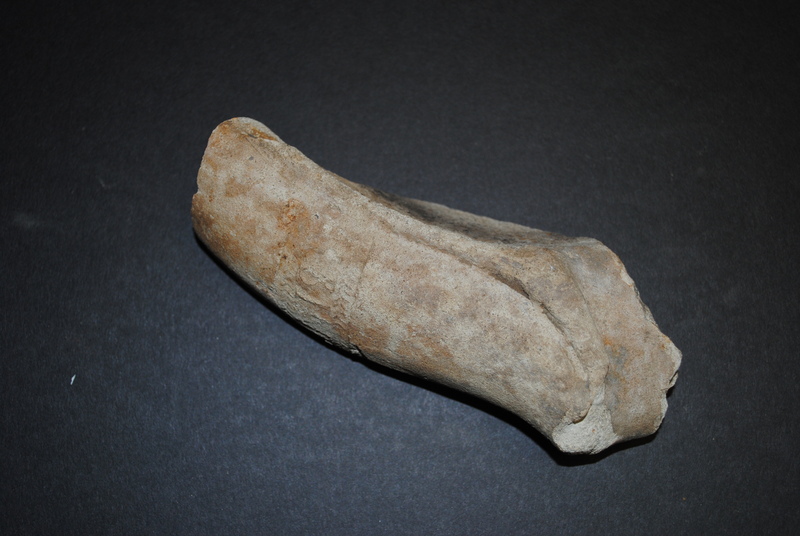 It was a trade between London(UK) archaeologist W.F. Grimes and University of Western Ontario archaeologist Wilfrid Jury, the founder of the Museum of Ontario Archaeology. Therefor, the story behind how we got this collection is fairly straight forward. We were very surprised to find out however that the artefacts are associated with a fairly prominent Roman site in London. 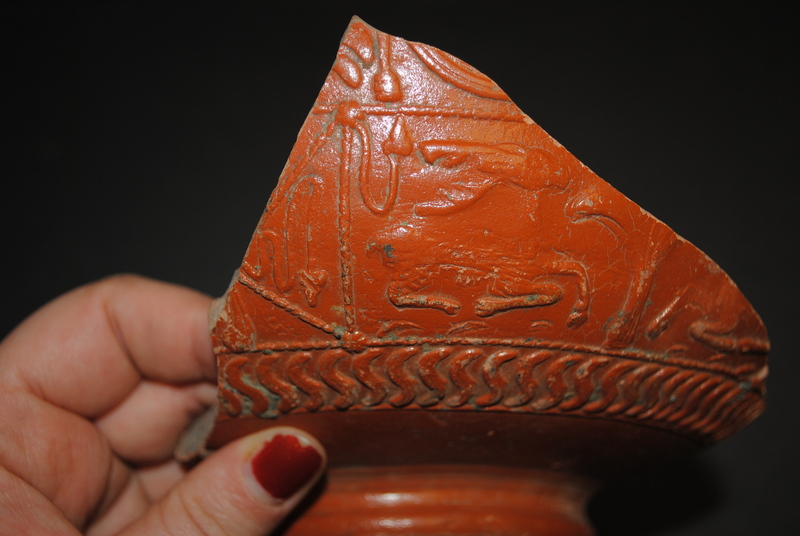 The collection consists primarily of pottery sherds, with some nice examples of Gaulish Samian ware from modern day France. Our one piece of documentation included with the collection was from Grimes and stated they were from the site of Salter’s Hall on Walbrook. 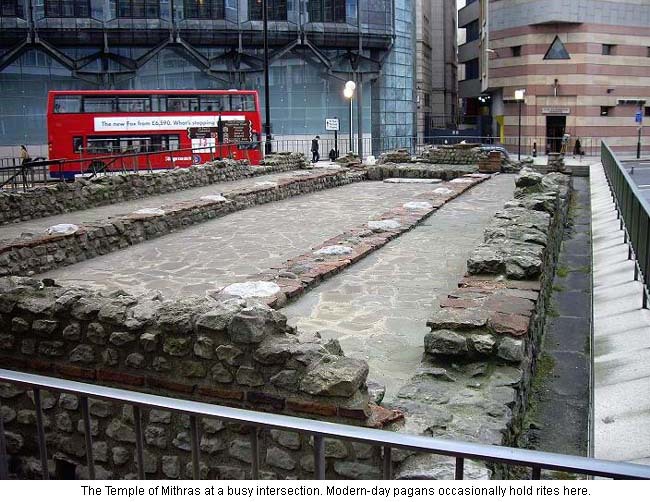 Later in 1954 a Temple of Mithras was found at this site. Whether our artefacts are directly associated with the temple or not is unable to be determined, but they are undoubtedly from the same vicinity and time period.